Remembering an old college professor may bring a chuckle to some alums. Others might experience mild nostalgia over shared experiences or late night discussions. Still others might feel gratitude for the contributions of a special teacher in their own professional development. But one group of Augsburg College alums are doing more than that when reminded of a beloved choral director. On Sunday, October 13, more than 180 former members of the Augsburg College Choir will gather in the Twin Cities to present a concert in honor of Dr. Leland B. Sateren, longtime director, professor, and composer. On the 100th anniversary of Sateren’s birth, the choir will perform some of Sateren’s works, with each piece directed by one of a dozen choir alumni who have become successful directors. Sateren graduated from Augsburg in 1935 and completed graduate school at the University of Minnesota, where he served as music director at KUOM radio station. After World War II, he returned to Augsburg in 1946, where he became chair of the music department and director of the Augsburg Choir in 1950, a post he held for 30 years. He composed more than 500 choral works. Pauline Sateren loves hearing about her husband’s influence on his choir kids. Pauline Sateren, wife of the late director, often quotes the response her husband had for many predicaments: “Just do it!” According to her, he always thought the best about his choir kids, and she loves hearing about his influence on them. She hopes the October event will be a celebration of this powerful — yet warm — person who changed the way choirs in Minnesota view contemporary music. 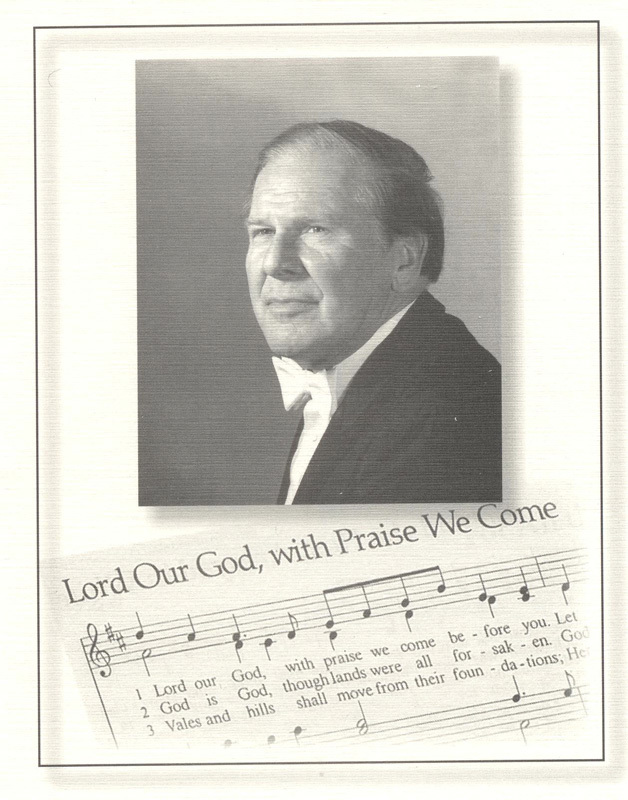 Dr. Peter Hendrickson, choir alumnus and current director of the Augsburg Choir, says that Sateren’s hard work and caring spirit with students were perhaps an even more significant part of his legacy than the rich body of compositions, as some of his students have serious professional positions today and are influencing the next generation. Choirs still perform Sateren’s compositions regularly, with “His Compassions Fail Not” among the most-loved. In this piece, Hendrickson says, Sateren “combines a singing melody, rich harmonies, dramatic moments, and a very tender conclusion,” all of which embody two things: his passionate musical nature and his love of altos. Hendrickson frequently recalls having just finished conducting an anthem in conducting class, when Sateren grabbed his forearm and rubbed it back and forth with the back of his hand, saying, “Don’t forget to wear your heart on your sleeve.” Hendrickson thinks that is what Sateren did every day of his life. Some of Sateren’s compositions clearly inspired Rodde to pursue a conducting career, and he credits Sateren with providing a golden opportunity when he asked Rodde to conduct a Bach motet during a rehearsal that Dr. Dale Warland, choral director at Macalester College, had been invited to observe. That visit led to Warland’s invitation to Rodde to serve as his assistant for a year and replace him during his sabbatical. The October 13 concert is open to the public and will be held at 4:00 p.m., at Normandale Lutheran Church, 6100 Normandale Blvd., Edina, Minnesota. A freewill offering will be taken at the event. Choir alumni wishing to sing with the choir may indicate so by email (include name, voice range, and graduation year) to sateren100@gmail.com. Cheryl D. Crockett does volunteer writing and editing for the Alumni Office of Augsburg College. She is a 1989 alumna of the college, as well as a faculty spouse.